BOUND TO provoke a “Why didn’t they do this long ago?” response, a walkway has been installed between Hackney Central and Downs stations. Our dozy Transportmeisters have finally got around to connecting the hubs. 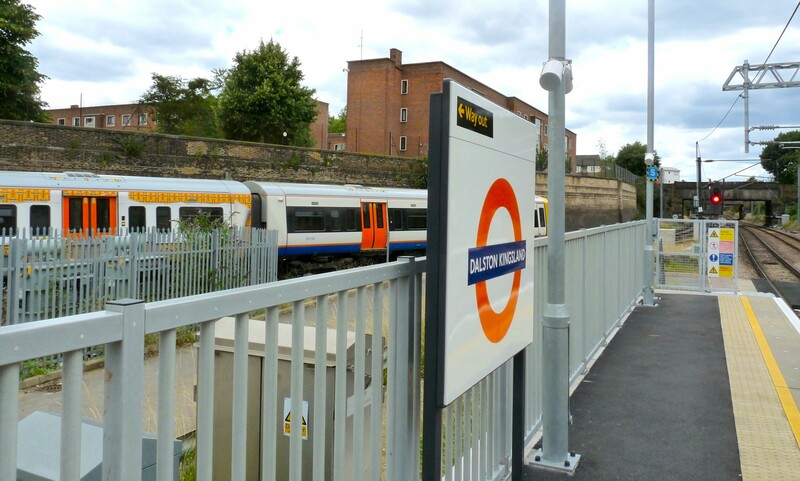 A 210m-long, CCTV-watched and night-lit covered footbridge now connects Amhurst Road’s HackCen with Dalston Lane’s HackDowns station, cutting the gap by 400m and saving commuters between two and five minutes. And unlike Dalston Kingsland station, the link is wheelchair and buggy-accessible. Pipe notices that the walkway will be a “great benefit to passengers” changing lines. Somehow money was also found for a children’s playground on the adjacent Aspland and Marcon estates. When our leaders try, don’t they do well? All that remains is for them to fulfil the need for a link between Dalston Kingsland and Junction stations. Unfortunately, the walkway is step-free only at the Hackney Central end. There are many steps at Hackney Downs. Both stations still have ridiculously small, overcrowded ticket offices because the original Victorian ticket offices (now the Oslo club at HC and the big derelict room inside the viaduct at HD) have been abandoned. So both stations are still crying out for an upgrade, just as Dalston Kingsland is. The new playground was provided to compensate for the removal of the old one. Transport companies must do better. I have been pressing [http://lovingdalston.co.uk/2014/07/is-dalston-kingsland-station-plan-on-right-lines/] on DK — to no apparent effect. – Ed.